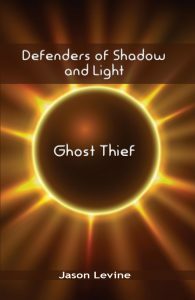 I’ve become quite a fan of Amazon’s Free App Of The Day. Many days, the app will be something that I’m not interested in or that doesn’t seem that good. Other days, though, a gem will pop up that I would have never considered buying but that I enjoy nonetheless. Granny Smith is the latter. The story is simple. A thief has stolen Granny’s apples. Granny straps on her roller skates, grabs her cane, and tries to get her apples back. The good news is that the apples have gotten away from the thief. The bad news is that the thief is trying to get the apples back too. 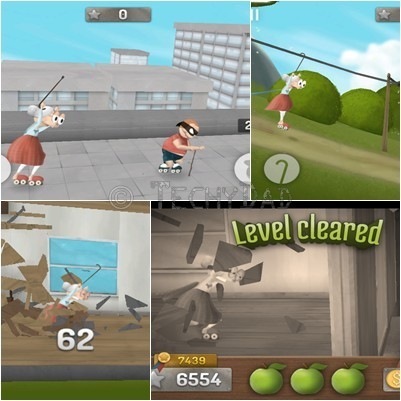 Every level has varying obstacles you need to jump over, swing across (using Granny’s cane), or burst through. Yes, Granny appears to be indestructible. If a house is in her way, she doesn’t go around it, she goes through it! As a bonus, when the level is over, you can watch it again as if it were an old-time television show. 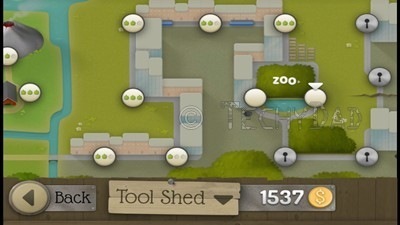 The game is quite enjoyable, but can be very difficult. When you jump, you turn around and need to stop your motion in just the right position otherwise you’ll fall, lose coins you’ve collected, and (more importantly) can fall behind the thief who will grab the apples first. Worse, if you time a jump or a swing wrong, you can land in a spot that you can’t get out of and be forced to run the level again. Thankfully, you don’t need to actually collect any apples to proceed to the next level. Just making it to the finish line qualifies you to move on. You can also re-run any level you’ve completed at any time to either try to grab more apples or more coins. NHL and JSL both liked the game, but JSL has found it very frustrating. He’s persisted at it, but he frequently cries out when his Granny crashes yet again. I have a feeling that it’s just too difficult a game for him, but as long as he’s willing to keep trying, I won’t dissuade him from it. 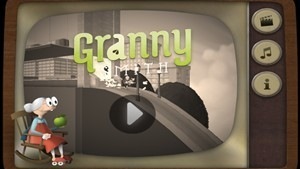 Granny Smith is available for $1.99 from the Amazon App Store as well as from Google Play. There’s also a free version on Google Play (this one might contain ads or might not have the full game). NOTE: I wasn’t asked to write this review by anyone and received no compensation. I merely tried a game, liked it, and wanted to spread the word about it.